While SEOs and web developers are both responsible for the success of a company’s website, their jobs are very different from one another. The web developers get to use their design skills to make the website look “cool” but they usually don’t know what they should about SEO. The SEO’s work isn’t as flashy but it’s equally important. SEOs are responsible for what matters most to the search engine spiders, namely the website’s text and technical components like URL structure. 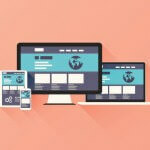 When it comes time for a website redesign, web developers and SEOs must work together to maintain organic search traffic. The URLs on the new site must be an exact match to the URLs on the old site. Not a partial match. An EXACT match. That includes any extensions the URL might have. For example, if the old URLs end with .htm or .asp, the same should be true for the new site. When URLs are changed, even slightly, it not only results in visitors landing on 404 error pages but all of the link trust old URLs have gained are lost completely. In some cases, such as when content is no longer relevant, it doesn’t make sense to keep all pages (and URLs) from an old site on the new site. If this is the case, they shouldn’t just be left behind. Instead, 301 re-direct any pages to be removed to the most relevant page on the new site. This will preserve link trust and send the user to an active page. From a design standpoint, it might not matter, but from an SEO standpoint this is huge. Web designers often make the mistake of leaving important meta information off of a new site. A perfectly optimized title tag like “Small Business Manufacturing Software” becomes “CompanyX.com” which tells the search engines nothing. The same is true about the meta description. The meta description doesn’t carry the same ranking weight as the title but it’s still important to tell the search engines what the snippet on the search engine results page should be. Like the title, the page’s H tags are telling the search engines a story. The content within the heading is obviously important and the search engines take note. Removing H tags completely or inserting unoptimized filler content is going to hurt a site’s SEO. 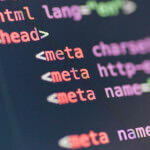 This is obviously a short list of SEO items that web developers need to keep in mind during a redesign, but these are some of the most important items that we see overlooked time after time. Incorporating these SEO items into a redesign is going to help preserve SEO trust and organic search engine traffic. Traffic translates into dollars, which is really all you need to know about how important any of this is!